Creating a safe work environment is one of the most important responsibilities of a business. As a business owner and employer, you are accountable for the safety and well-being of your employees at work. Whether it is in a construction site or in an office, everyone should observe workplace safety. Practicing safety in the workplace stems from adopting a preventive culture in the workplace. As the saying goes, “an ounce of prevention is worth a pound of cure”. In other words, prevention is always better than cure. Everyone should play a part in preventing accidents from happening. Therefore, a workplace health and safety program should be implemented to manage the prevention of work-related injuries and accidents in the workplace. Proper rules, policies, and training must be put in place for an accident-free workplace. We have put together our own workplace safety and well-being program using a 13-step checklist which you can easily follow though to check if the working environment your employees are in is truly safe for them. If your employees use and rely heavily on any equipment to do their tasks, ensure that they are kept it in good working condition. Such equipment can include complex and sophisticated machinery such as forklifts and cranes but it can also include simple and light equipment like ladders and trolleys. Most equipment that is motorized or has intricate moving parts comes with a recommended maintenance schedule. It is vital that this schedule is followed strictly to ensure that such equipment is always in good working condition. This also ensures safe operations at all times and helps to quickly identify potential issues. For manually-operated equipment like ladders, always conduct your own checks. Annual inspections of low-use or simple equipment, which does not take up much time or effort, help to identify potential safety hazards. Create a short checklist to ensure thoroughness and accountability. Worksite safety is about people. Even in the most automated workplaces, some degree of manpower in involved in operations. It is important to ensure that each person gets the training necessary to remain safe while they do their job. Safety and health is everyone’s responsibility. Everyone should play a part in making their workplace a safe and conducive environment to work in. When arranging for health and safety training, only engage with accredited or qualified professionals that can lead Workforce Skills Qualification (WSQ) courses. This helps maintain quality and consistency so that everyone learns the same set of skills and knowledge. While this step may seem simple, posters proves to be an effective way to prevent workplace accidents. The trick is to keep the content visually simple and easy to understand. Common symbols and iconography can help improve quick comprehension. Focus the content on the most critical warnings designed to prevent incidents. However, it is also important to include clear information about various safety hazards as well as how one can take action if something goes wrong. For example, a poster can be a reminder that safety vests are mandatory in a specific area. It should also include where one can pick up a safety vest if someone doesn’t have one. Use these signage cappings on your existing q-poles or stanchions to put your safety posters. With this, setting up your posters is effortless without the glue for any drilling, glueing or taping. Also, the frames will protect your posters from getting damaged. 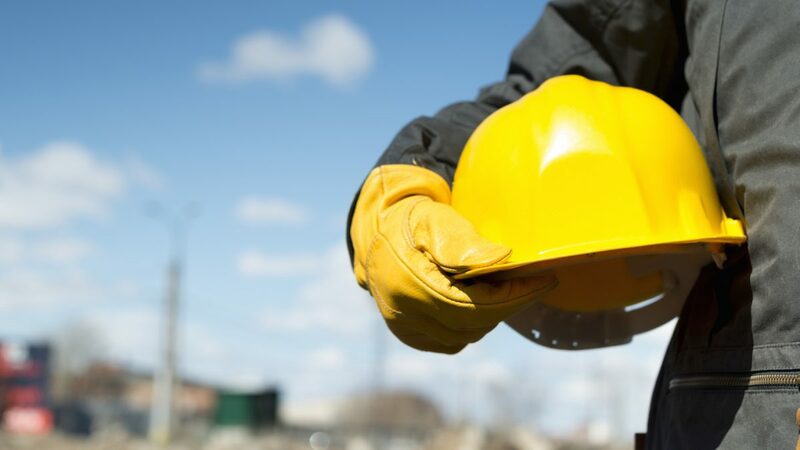 The most common worksite safety issue involves what workers wear, especially in hazardous worksites such as the construction site. Even something as minor as the wrong clothing or footwear can lead to injuries and accidents. Sometimes proper clothing and footwear also involves what not to wear. For example, removing expensive and valuable jewellery when entering a potentially hazardous site. More often though, it’s about what must be worn while at work. 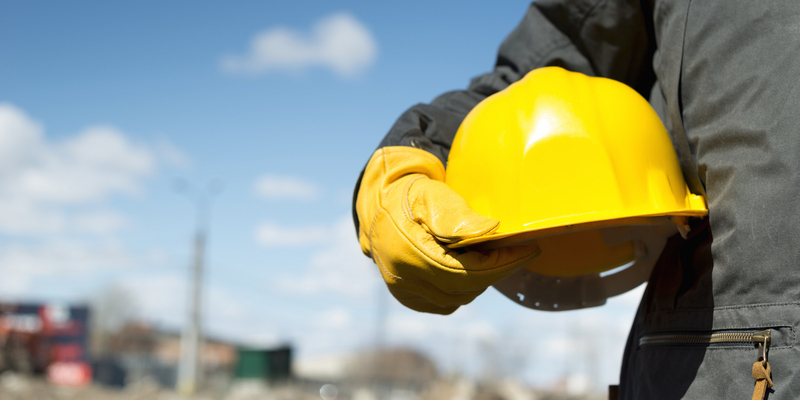 These include include steel-toed safety boots, hard hats, specific kinds of gloves, and coveralls. Reputable organizations provides all required safety equipment available to everyone who needs it. This not only proves to be a sound investment in safety. It’s a practice that helps recruit and retain skilled employees. Besides clothing and footwear, it is also important to protect your eyes from dust and dirt as well as sharp objects. Prevent the risk of eye injuries and problems at work by providing employees with the appropriate eyewear. Examples of such eyewear include goggles when chemicals or other air-borne substances are a risk. Employees working outside under the hot sun would need glasses with proper UV protection to protect their eyes from harmful sun rays. Also, ensure that you have ample suitable eye protection available for visitors as well. If occurrences of eye damage does happen on site, make sure employees are aware of what to do and have the appropriate tools to do it. In some cases, eyewash stations and supplies are required. If any part of your operations involve routine or constant exposure to high decibel sounds, hearing protection is advisable, if not required. Ear damage and hearing loss can occur suddenly or over the long term. To avoid this, appropriate ear protection equipment should be worn by each employees whenever they are in the designated area. There are two forms of ear protection: ear plugs and over-the-head earmuff style. Reusable earplugs make economic and environmental sense for employees who need protection for short periods of time. Disposable earplugs should be kept on hand for visitors. Earmuff style protection is advisable for extended exposure to sounds of 85 dB or higher. They use sound-attenuating material and have soft ear cushions that fit around the ear. The hard outer shell makes them durable. Be sure to educate employees on the appropriate earbuds that they should use as earphones that are used to listen to music will not protect their hearing. Every workplace from offices to factories to even outdoor sites should have a first aid kit on stand-by. Keep it in a place that easy to retrieve during an emergency. Fixing it to a wall or other permanent structure ensures that it can be easily accessed by anyone instead of keeping it in a locked drawer. Keeping it at eye-level is a also ideal so that it can be easily spotted. It is also essential to keep enough supplies for multiple incidents. Check stock of supplies at least once a week and restock once supplies run low. Do not make the critical mistake of only stocking up when you’re out on supplies. Falls and slips are one of the most common and serious accidents that happen in the workplace. These incidents usually occur due to slippery and wet floors caused by liquid substances spilling or rain. Therefore, such areas should always have fall prevention mats put in place. These rubber mats are designed to give users a stable footing and prevent slips and falls from slippery surfaces. They can be used to cover the entire floor or only a certain section. Make sure to keep them clean and free of debris. Although these mats is designed to prevent falls, be sure to advise your employees on the appropriate footwear, to be safe. In this case, open-toed footwear and slippers should not be worn. Blocking off specific parts of a worksite and limiting access is sometimes necessary. This is due to a multitude of reasons such as the ongoing use of dangerous equipment. One such example would be smoldering works, which can be dangerous to passers-by due to the flying sparks. Ultimately, all these reasons boil down to ensuring safety. Temporary barricades, therefore, help to block off certain areas that are deemed unsafe for unauthorized personnel. Some can be used indoors while others are designed for outdoor use. They also come in different styles. Some are made of metal with mesh wiring while others can be extendable. Ensure that they are stored in a safe place and are not used for any other purposes. Also, train employees on how properly connect multiple units and ensure they are stable. Most units are lightweight for easy transport and installation. If used in outdoor environments, adding reflectors or LED lights can help temporary barricades remain visible at night or in rainy weather. The air employees breathe can affect their health, especially after prolonged exposure. We’re not only talking about laboratories and factories where the air can be polluted, even offices can have poor ventilation. A stuffy and poorly ventilated offices can be uncomfortable for your employees. Certain parts of outdoor worksites also require proper ventilation. A common example is site supervisor trailers on construction sites. For optimum safety, ventilation systems should be installed by qualified professionals. Routine and frequent maintenance should be arranged to prevent mechanical failures. They will also help identify less obvious issues such as mold and bacteria buildup before they become hazardous. It is a good idea to check ventilation under a variety of conditions such as under different operation hours as well as different weather situations. You may need a digital thermo-hygrometer to accurately check the temperature and humidity levels. This is advisable to use in laboratories and food processing rooms. In some workplaces, it’s necessary to have individualized respiratory equipment to protect the nose, mouth, and lungs. The type, intensity, and duration of exposure to chemicals and other irritants or pollutants in the air determine what kind of equipment would be necessary. In many cases, disposable equipment is more practical and comfortable for users. It is also generally more hygienic. However, reusable equipment can be more cost-effective in certain circumstances. Reusable equipment commonly covers the nose and mouth but full-face equipment can also be used for optimum safety. Effective communication is critical especially if there is an accident or emergency. Sounding an alarm is often the first form of communication that an emergency has broken out. This is because it is an effective and efficient way in signaling and informing large masses of people. There are two critical aspects of any alarm system. First, it must be easy to hear and see once the alarm activates. Second, people must know what to do. Hence, with the installation of the alarms, you should educate your employees on what sounds to hear out for as well as what actions to take once they hear it. Most of the time, alarm systems have three activate states: warning, activity incident, emergency or critical incident. Installing and maintaining an alarm system is unable to prevent worksite safety issues. However, it is an effective way to prevent further injury, death, and damage. It can help to minimise and scale down the effects of the accident or emergency. Many worksites are restricted and require granted authorization. These places include construction sites, laboratories, warehouses, and manufacturing plants. Such worksites have restricted access as they are too dangerous and hazardous for outsiders. Therefore, to keep unauthorized personnel away, authorization systems needs to be put in place. This is ensure safety and protection for both the workers and the outsiders. These systems usually come in the form of a simple, manual sign-in sheet at the security post works or ID badges with magnetic strips to unlock doors. More sophisticated systems use fingerprint scans and personalized pass codes. You can even utilise digital door locks and integrate them as your lock and authorization system for restricted sites. They all come in different forms but serve the same purpose of only allowing those who are trained and authorized to be in the area to enter. This is a fundamental rule that has to be adhered to ensure everyone’s safety. It’s never too soon or too late to address safety in the workplace. If your company doesn’t already have clear health and safety processes and policies, establish them as soon as possible. Then disseminate them and educate your employees on them. It is vital that they adhere to these rules and policies, especially when everyone’s safety is at stake. If you have them in place, do an audit. Check for compliance. If there are gaps, consider additional training and making necessary amendments. No matter how big or established your company is, there is always a need to maintain safety at work. At eezee.sg, we’re here to make procurement of industrial hardware and supplies easy. So, have you done your 13-step safety checklist at your workplace? Tell us in the comment box below!